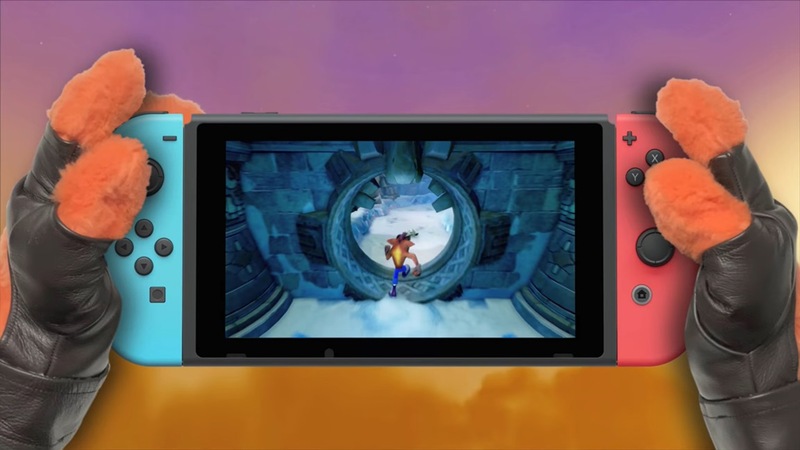 Crash Bandicoot N. Sane Trilogy has launched across all platforms, including Switch. To get a better idea as to how each version compares, Digital Foundry has conducted its usual in-depth analysis. When docked, Crash Bandicoot N. Sane Trilogy runs at 720p. The resolution drops to 480p when playing in handheld mode. 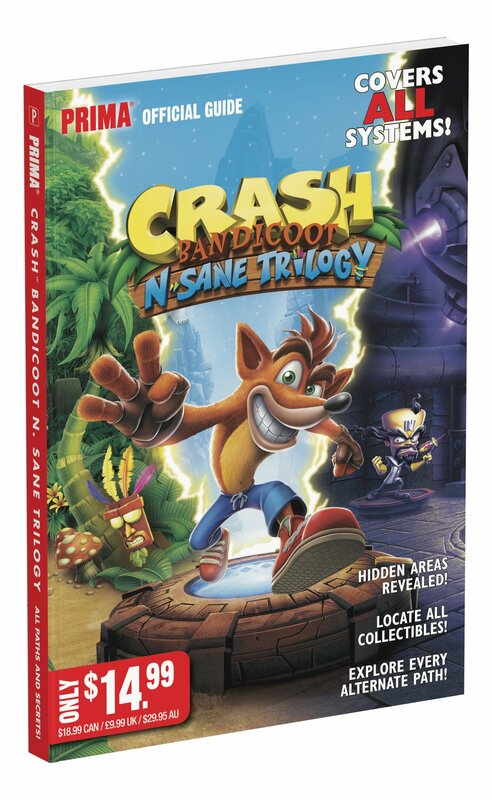 Crash Bandicoot N. Sane Trilogy reached new formats last week. Interestingly, it’s the fastest selling Switch game released this year. The £30 price tag may play a factor in that. 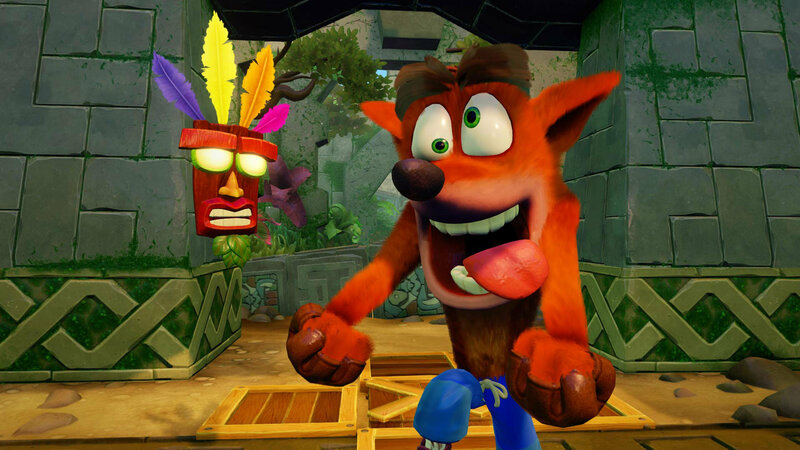 The Xbox One and Switch versions of Crash Bandicoot N. Sane Trilogy came in at first and second on the UK charts this week. However, the Switch edition only sold 250 fewer copies. We have a couple of other tidbits regarding the latest UK sales as well. Mario Tennis Aces’ sales dipped by 53%, though GamesIndustry says that’s “decent performance for a game in its second week on shelves.” Harvest Moon: A Light of Hope, which debuted in the UK just a few days ago, had 78% of its sales on Switch in comparison to 22% on the PlayStation 4. Thanks to Arison for the tip. 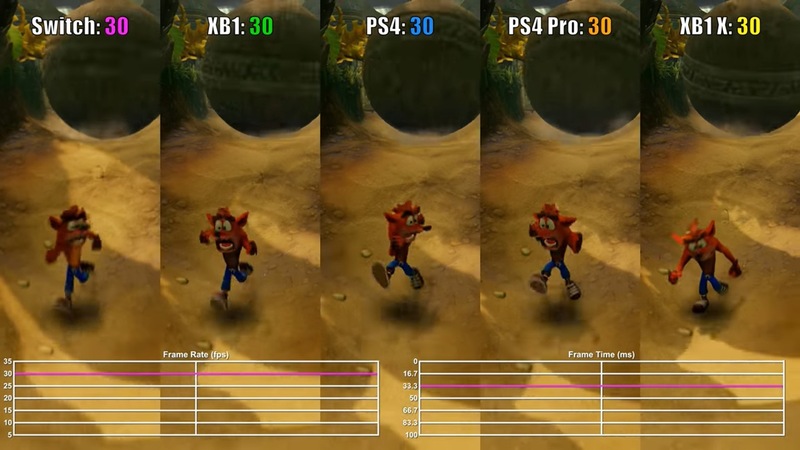 VG Tech has put together a video comparing Crash Bandicoot N. Sane Trilogy’s frame rate across all platforms, including Switch. We have it below. 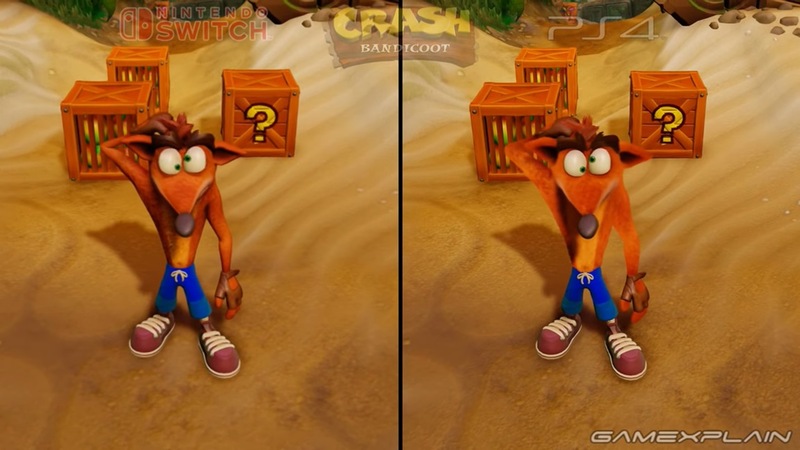 We’ll likely have a better idea as to how Crash Bandicoot N. Sane Trilogy holds up on Switch in the near future, but VG Tech states that it runs at 720p when docked and roughly 853×480 in portable mode. When playing in handheld form, the game apparently runs a bit better, though can still occasionally drop below 30 frames per second. With Crash Bandicoot N. Sane Trilogy reaching Switch this week, some may be curious as to how it stacks up to the PlayStation 4 version that launched last year. We have a closer look showing the two side-by-side below. Crash Bandicoot N. Sane Trilogy launches on Switch later this week. Check out the first 15 minutes of footage below. With Crash Bandicoot N. Sane Trilogy launching on Switch this week, Activision has readied a launch trailer. View the video below. Crash Bandicoot N. Sane Trilogy was featured at E3 this week. 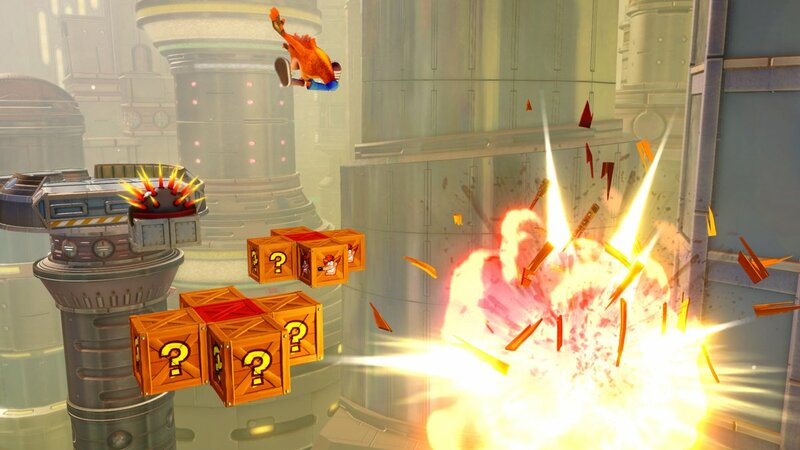 Folks were able to go hands-on with the Switch version, and the new Future Tense level was shown off. One interesting point concerns loading times. 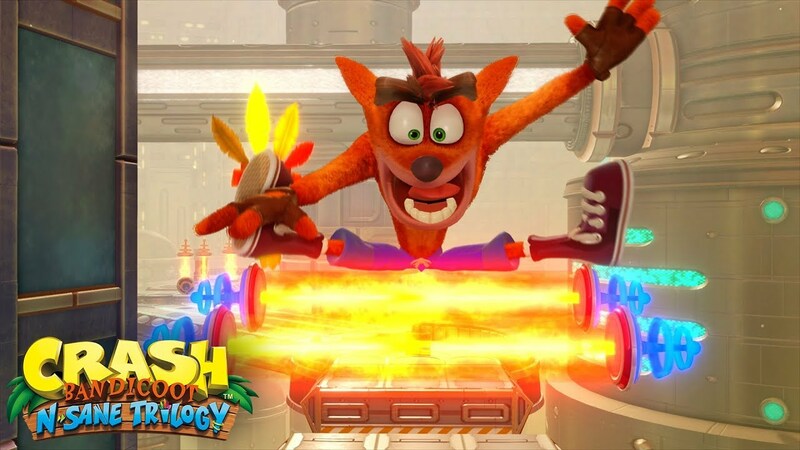 After Crash Bandicoot N. Sane Trilogy originally came out on PlayStation 4, Vicarious Visions looked at the feedback, and has addressed this on Switch. Fans can expect loading time improvements across the various levels. Crash Bandicoot N. Sane Trilogy is just a couple of weeks away from reaching Switch. When it does release, Prima will have an official guide ready to go. 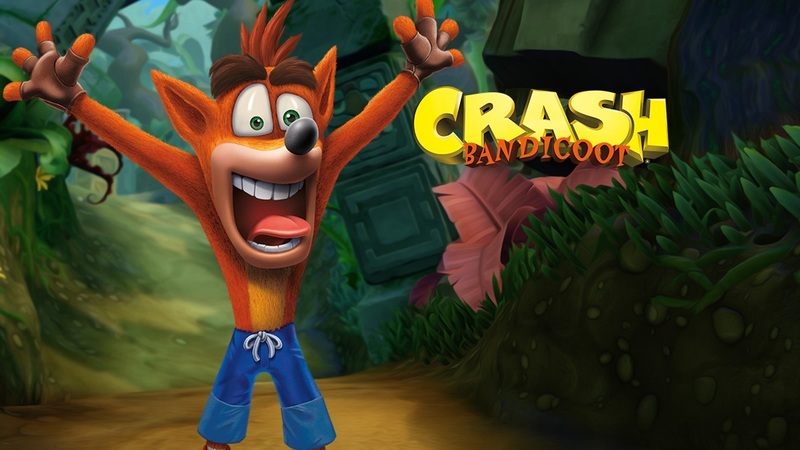 Activision unveiled the new Future Tense level for Crash Bandicoot N. Sane Trilogy today. Get a look at some footage below.